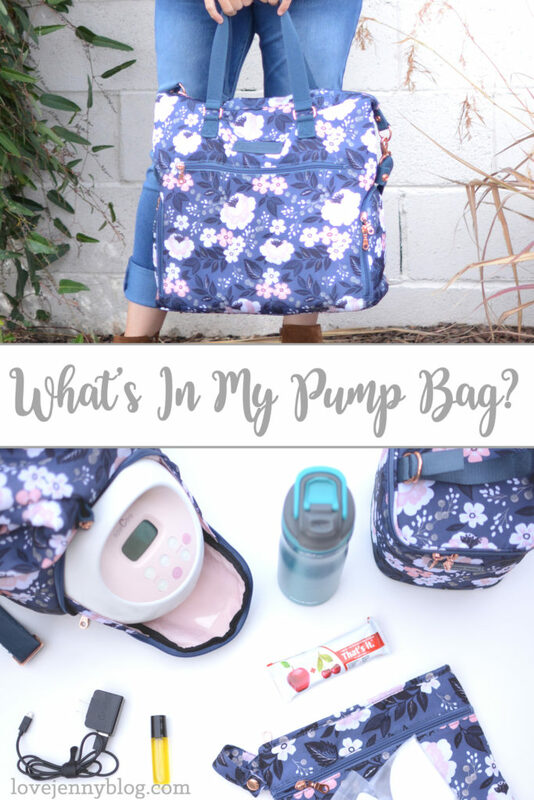 What's In My Pump Bag? Returning to work after baby is stressful enough, but returning to work and trying to prepare for your pumping journey is stress on a whole new level. Even as an exclusive pumper, I was worried about forgetting something important. If that happened, I wouldn’t just be able to leave work and run home, so it was really important that I was properly prepared. I didn’t really have any co-workers to get advice from, so I had to figure it out myself. Some things I thought of right away. Others, I didn’t know I needed, until I needed them. I’ve been back to work for 5 months now and I think it’s safe to say that I have the whole pumping-at-work thing down to a science. 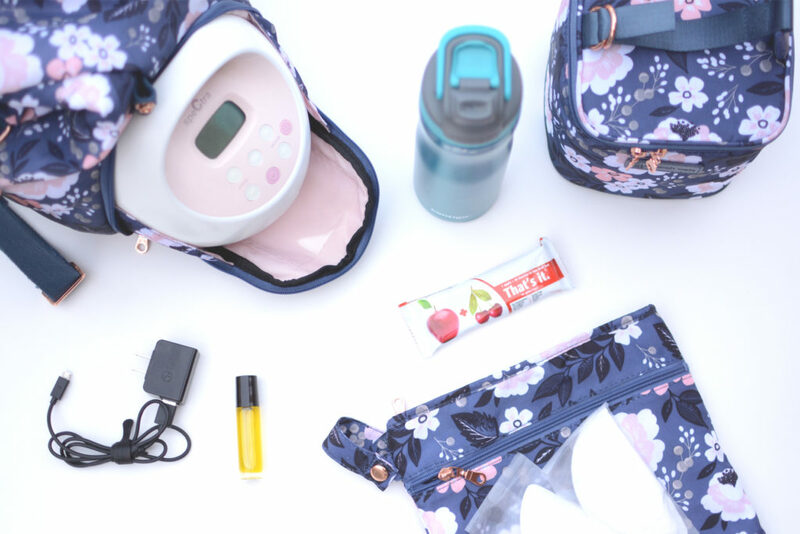 So for any other mama’s returning to work and struggling to know what they’ll need, I thought I’d put together a list of all the things I have packed in my pump bag. Pump Bag: First thing’s first, the bag. While I love my Spectra pumps, they don’t some with bags. Not only that, but a lot of pump bags on the market are designed for the smaller Medela pumps and aren’t big enough to house mine. The first bag I bought was a budget-friendly, bag by Bananafish (similar). It was a bit of a tight fit with my Spectra, but it worked. But what I was really lusting after was a Sarah Wells pump bag. 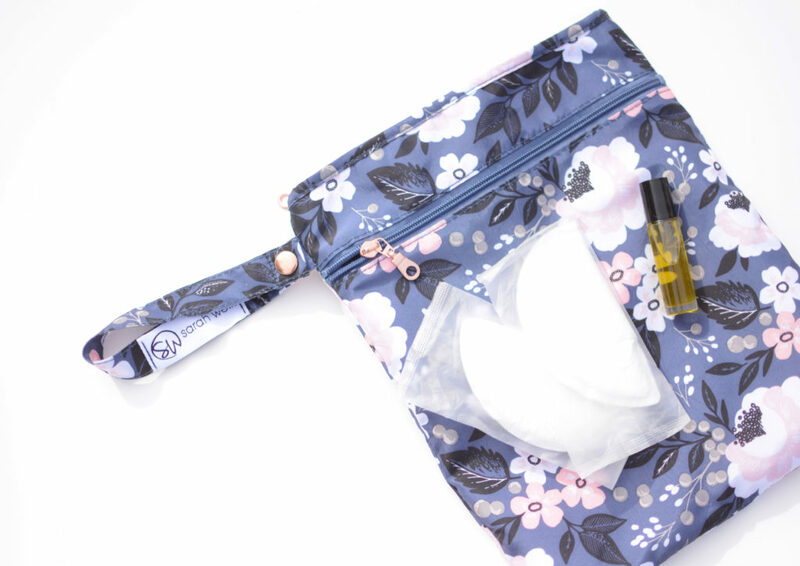 They’re pricier, but gorgeous (they definitely don’t scream “I’m lugging around a breast pump”) and have plenty of room for anything you could ever need (mine even has a laptop sleeve!). So when I had the chance to grab one of her Floral Lizzy bags, I took it and haven’t looked back. Cooler: A cooler is a must for keeping that liquid gold chilled after pumping. I have this one from Sarah Wells. Not only does it match my Lizzy, but it’s large enough to fit four of the taller, 8 oz pump bottles. Nice and roomy and keeps everything nice and cold until I get home. Pumparoo: A wet bag is perfect for tossing your flanges in between pumps. I love this Sarah Wells Pumparoo not only for storing my wet parts, but it also has an exterior, dry pocket as well as a detachable staging mat that you can use to set up your pumping supplies without having to worry about your parts coming into contact with whatever’s on the surface of the table/counter/etc. Lube: I cannot stress enough the importance of having proper lubrication while pumping. Seriously. It makes pumping so much more comfortable. I like to use a little bit of olive oil on my flanges, but I wasn’t very well going to drag a whole bottle of the stuff to work with me. So I just fill one of these small roller bottles with the stuff and toss it in the bag. Done and done. 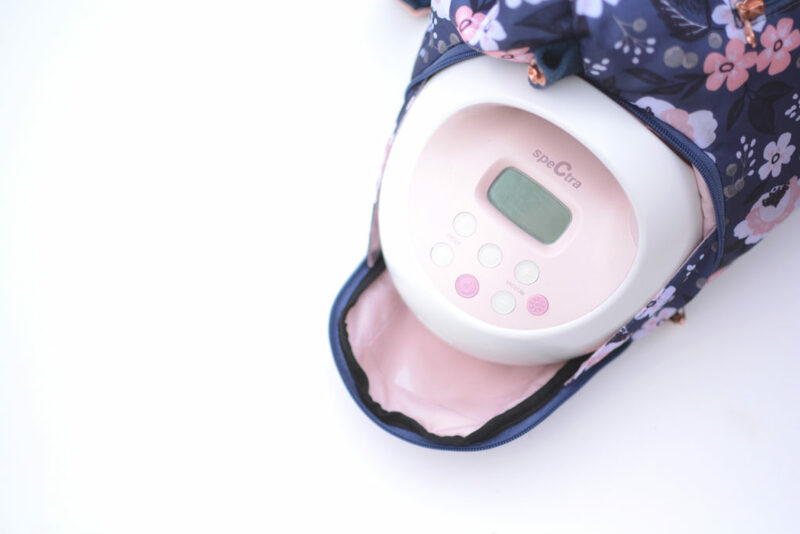 Breast Pads: Any breastfeeding mama knows that the girls can be a bit unpredictable. You’ll think you have them on a feeding/pumping schedule, and then one day, BOOM! 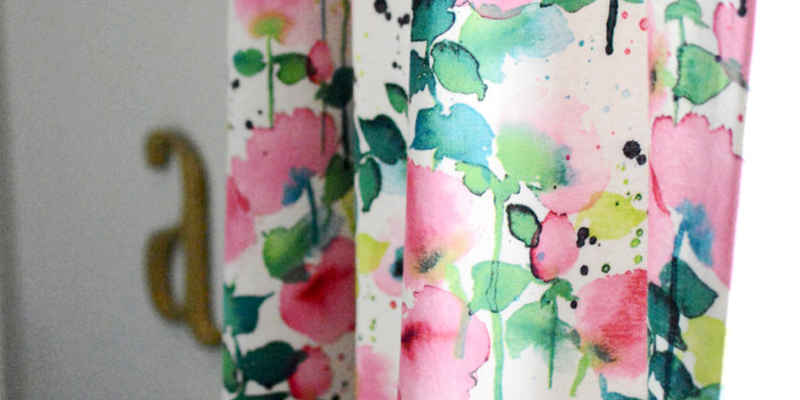 A letdown when you least expect it, leaving those tell-tale wet spots on the front of your top. So I keep a pair of disposable breast pads in my bag in case of emergencies. Wipes: I’m fortunate that my workplace provides wipes in our pump room, so I was able to take this out of my bag, but I’m sure not everyone is as lucky. Wipes are great for giving your parts and quick cleaning between pumps. Water Bottle: Breastfeeding is thirsty work! I guzzle water like it’s going out of style. 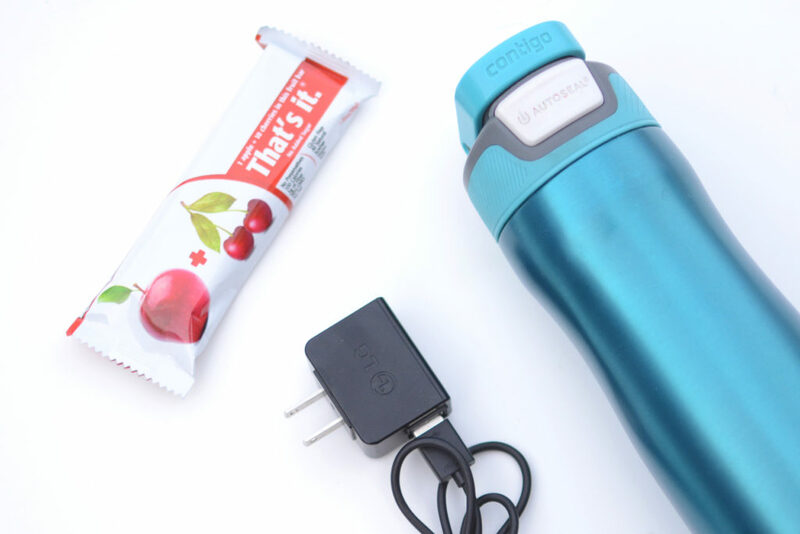 Do yourself a favor and keep a full water bottle on hand to stay hydrated during those pump breaks! 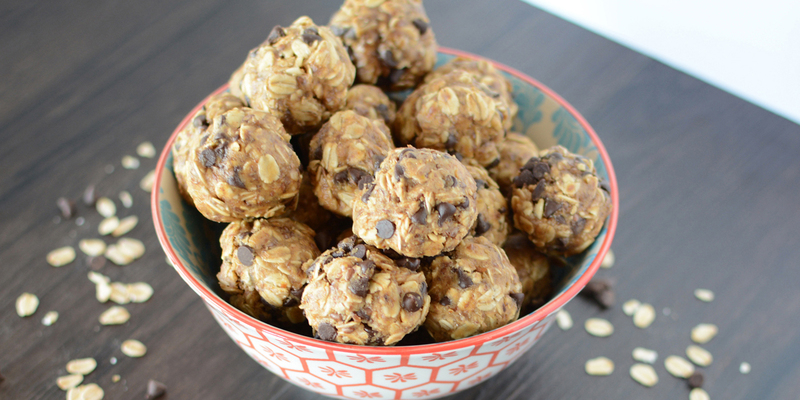 Snacks: Breastfeeding can also make a mama HUNGRY! While I don’t always feel the need for a snack, I like to keep something quick and easy on hand for whenever I do get a little peckish. There’s nothing worse that a lactating mama who’s hungry and can’t get to some food! Charger: If you’re anything like me, I stave off pumping boredom by playing on my phone. How else am I going to occupy myself while locked alone in a tiny room for 30 minutes? So it is the absolute worst when my phone dies while I’m pumping. That only had to happen one time for me to toss a phone charger in the bag so that it never happens again! 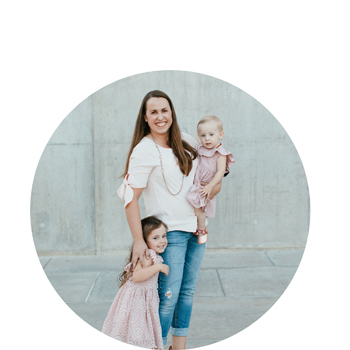 I hope this list helps calm some of the back-to-work jitters and helps prepare you for the pumping journey ahead. 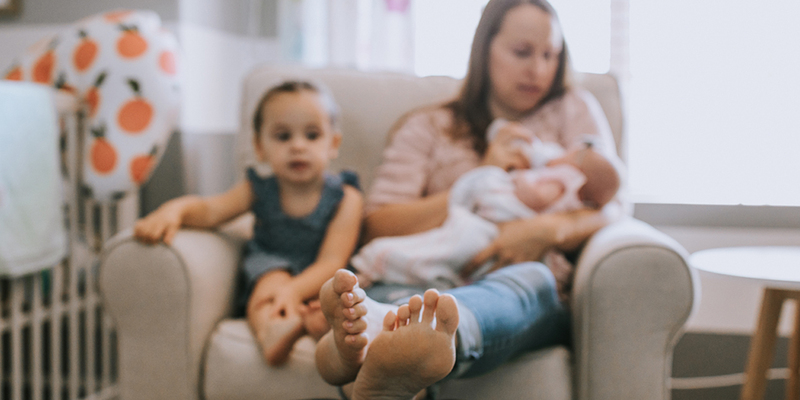 Pumping at work can seem daunting, but with a little prep, it can be a lot less stressful than you fear. 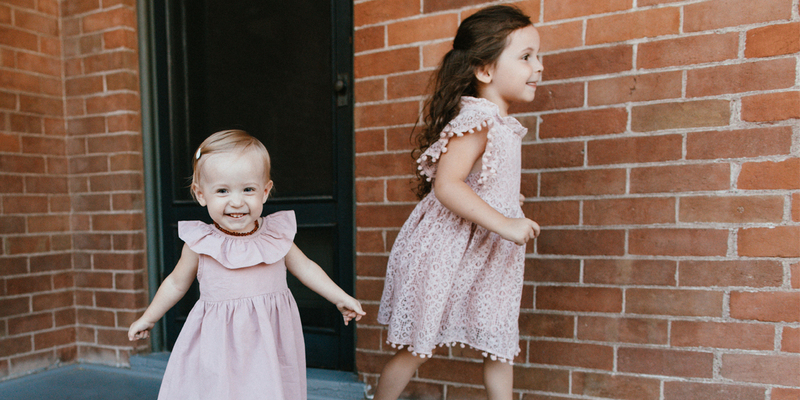 And remember, you got this, Mama! 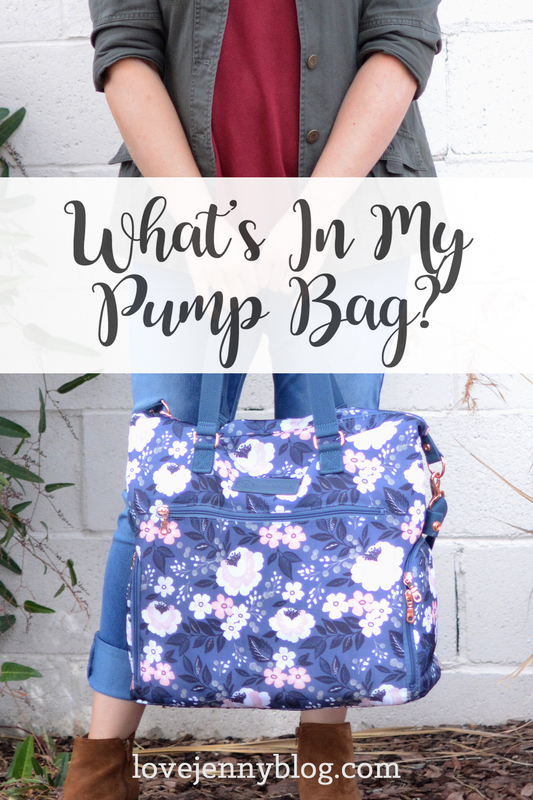 For the veteran pumping mamas, what did you keep in your pump bag?